Jenniffer graduated from the funeral service program at Humber College in 2007. She interned at Bernardo Funeral Home in Toronto, Ont and followed her career working at a few other funeral homes in the GTA area. 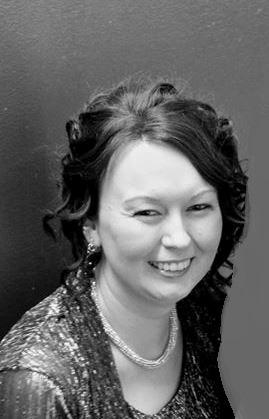 Jenniffer has been employed at the McGuinty Funeral Home since 2010 and in 2012 became the Manager of McGuinty Funeral Home in North Bay and in 2016 became the manager of the Sturgeon Falls location. Jenniffer lives in Verner with her husband Marty, along with their four children. Jenniffer grew up in South River and attended Almaguin Highlands Secondary School. 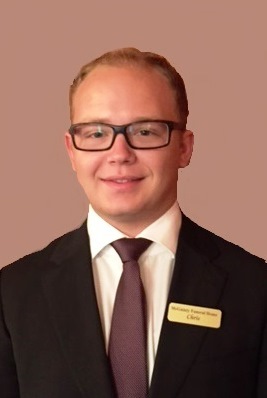 For the past four years Chris has been a member of the McGuinty Funeral Home team, fulfilling the role of a Funeral Directors assistant. A recent graduate of Nipissing University, he obtained an honours bachelor degree in Political Science and a minor in Biology. Having been born and raised in North Bay, Chris is an active member in the community serving as a 4th degree member of the Knights of Columbus Albanel Assembly and as a Trustee 1 year for his 3rd degree council 12030. Chris is also an active parishioner of Holy Name of Jesus Parish where he serves as an acolyte. Chris is a Certified Crematorium Operator having recently obtained his certification under the OACFP Association, Chris has spent the last year studying and attending Humber College in the Funeral Service Program and has now returned home to begin his funeral service internship program as the next step to becoming an Ontario Licensed Funeral Director. 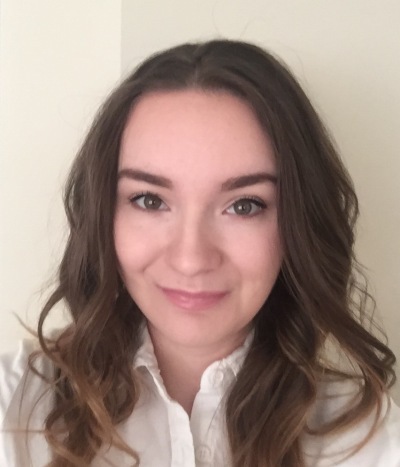 Sylvia is a graduate of Canadore College with a three year Business Diploma in Business Accounting / Finance. She spent many years as a front desk guest service agent at the Best Western Hotel in North Bay. 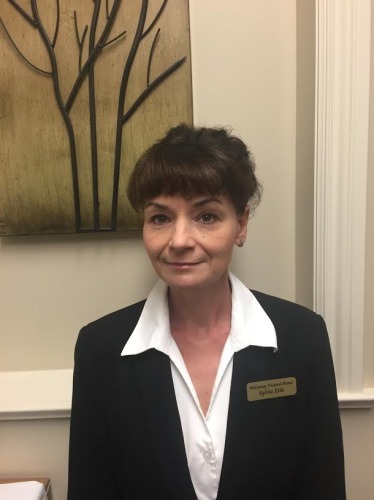 In 2012 Sylvia joined her husband Gary and the team at McGuinty Funeral Home / Whispering Pines Funeral Home as a Funeral Directors Assistant. Sylvia along with her husband Gary and daughter Sarah are parishioners at Holy Name of Jesus Church in North Bay. Sarah is a graduate of St.Josephs Scollard Hall. She has an Honours Bachelor of Science (Neuroscience and Biology) with High Distinction from the University of Toronto. Sarah is the daughter of Gary and Sylvia Eide. When Sarah is not attending University she is employed with McGuinty Funeral Home and Whispering Pines Funeral Home as a reception and visitation staff. Sarah enjoys the audio visual preparation for funeral tributes.Sarah along with her parents is a parishioner at Holy Name of Jesus Church in North Bay. Oscar was born and raised in Mattawa Ontario. In 1972 he moved to North Bay and began his career as a baker. 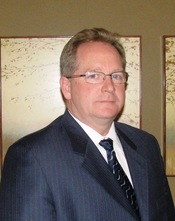 In 1991 he joined the McGuinty Funeral Home team on a part-time basis. 24 years later he remains as one of our valued team members. Oscar is fluent in both English and French. Paul lives in Haliburton and is the owner of Allstar Property Maintenance. 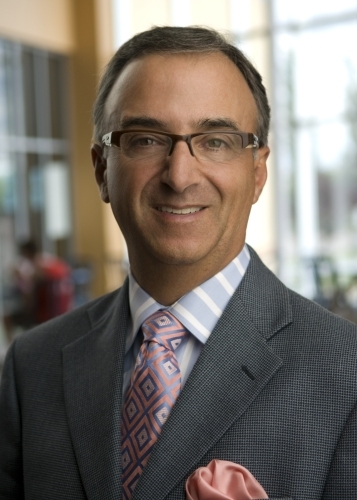 Paul graduated from Humber College with a Diploma in Funeral Service Education. 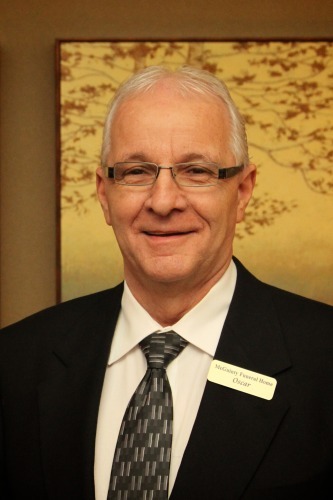 Paul has been with Whispering Pines Funeral Home since its inception and is available on a part-time basis. When not working at his own business or at Whispering Pines, Paul is a volunteer fire-fighter in Haliburton. Steven is a graduate of Almaguin Highlands, a father of three Steven owns and operates Eides Residence in Powassan. This is a Homes for Special Care that is Licensed and Operated under the auspices of the Ministry of Health. Steven is the Northern Director of the Homes for Special Needs Association, and a former Municipal Councilor for the Municipality of Powassan. Steven is the co-owner of McGuinty Funeral Home.